Few tools are adept in enriching all stakeholders (meaning brand, employee and customer) of a business as a CRM Solution. Gone are the days where CRM was considered standalone tools to log customer records and store data. Now, CRM is being pursued in a dual role as business growth model and strategy. The latest version, Digital CRM is revolutioning interaction between customers and the company. And the engine for this disruption is intelligent automation. Intelligent automation improves work force productivity by removing unwanted processes that eat time and on the same plate, enable active interaction. "Intelligent Automation through Cloud CRM turns your workforce from window hopping rabbits to sleek 'capture everything in a single swoop' eagles." Pertinent customer information is displayed in active cards (only in CRMNEXT) with additional information in a simple view more link (opens in the same window). 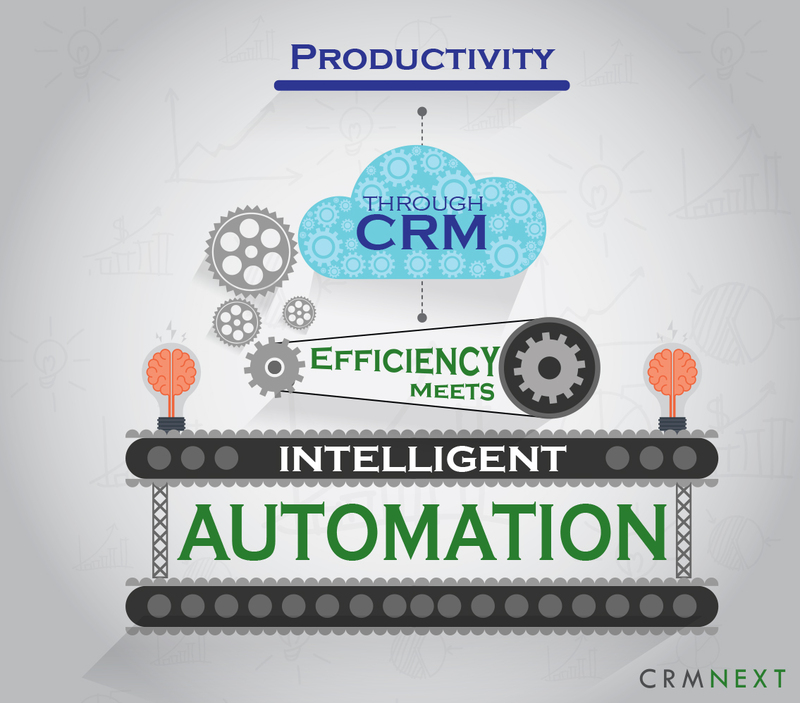 CRMNEXT cloud CRM also redefines business process systems by allowing to create workflows with simple drag and drop instead of thousand hours of manual coding (you are welcome). The 'intelligence' in automation comes from the ability to fetch data from multiple sources and present it in anywhere, no matter which window you are in the platform. You can fetch from databases, APIs, widgets (the sky or rather technology is the limit). Watch the video below to get an understanding. Worried about too much 'code' in your back-end. Follow the 80:20 rule (We do). Just determine which is the most important information (20%) that gives out the most relevant results (80%). Don't worry about data hogging your storage, CRMNEXT cloud CRM uses data for display only. Intelligent automation allows to drastically improve your first time resolution rates. It also helps you set up automated triggers that inform you when things go wrong. Thus driving down your maintenance costs significantly. Ask our customers. Through automated intelligence gathering, Cloud CRM helps businesses to learn more about their targeted audience. They can gain insights into customer's taste and preferences through purchase histories, interactions, social trends etc. This improves forecast efficiency. With the help of segmentation, they can push the right products, increasing cross sell and margins. We call it Trinity Cross Sell Models. 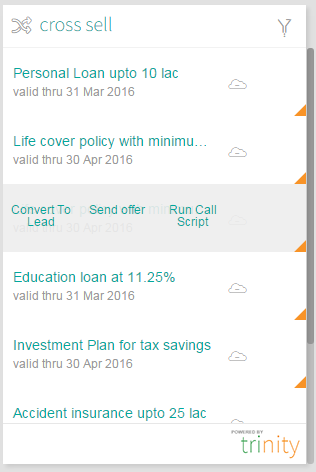 It also enables quicker sales cycles with the help of automated approvals, document checklists and uploads. Cloud CRM improves relationship between the company, it's workforce and the customer. Intelligent automation helps make your work force efficient and more importantly, happy. In turn, they delight customers who relate well with the brand, becoming loyal to the company and it's product/services.